Our friends at BeatRig have announced their Spring Sales, with a scrumptious 20% off the entire collection; LevelNorm, LevelView, LevelViewS, Sidekick, and LevelOne. Only until March 27th, 2018! 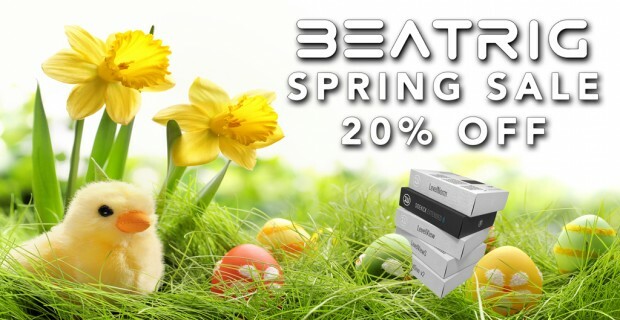 Find out more about the innovative products BeatRig has to offer, and get a great price during their Spring Sales and the link above, from the DontCrack Store. This entry was posted in DontCrack, Plug-ins, Promotions and tagged BeatRig, LevelNorm, LevelOne, levelview, LevelViewS, Loudness, Mastering, Mixing, SideKick Extended. Bookmark the permalink.